IGF 2014 received over 1,000 entries, almost 350 of which came from students. 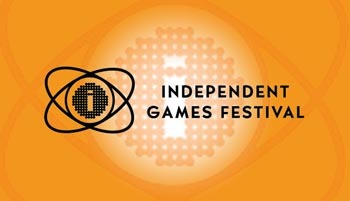 The number of entries to the main competition and student competition sections of the Independent Games Festival in 2014 has surpassed records from previous years. IGF reported it received about 350 submissions - roughly 50 more than last year - to the student competition. IGF is the long-running independent games festival that takes place during the Game Developers Conference every year. The 347 student entries will be judged in January 2014, and a shortlist will move on to the IGF ceremony at GDC in March. This year's student competition includes entries across many platforms. Several use new technology such as the Oculus Rift virtual reality technology. In Anamnesis, created by Alexa Kim and Scott Stephan from University of Southern California, players use the Oculus Rift to scan psychological imprints left by missing quarantined inhabitants. The first-person exploration game explores multiple narrative perspectives. Other games use the Kinect; UCLA Game Lab and Filmakademy Baden-WÃ¼rttemberg students Peter Lu and Lea SchÃ¶nfelder created Perfect Woman, in which players use Kinect to pose as a woman in different stages of her life. The game uses a branching decision tree to create a narrative for the character. Other entries include 400% Kickstarted Risk of Rain from Hopoo Games at the University of Washington, and some are from outside the US, such as The University of Hong Kong's Ostrich Banditos' game Westerado. Games in the main competition include titles such as The Chinese Room's Amnesia: A Machine for Pigs, Blendo Games' Quadrilateral Cowboy, Stoic's The Banner Saga, and many more. Entries to the main competition this year totaled at 658, compared to last year's 586. Entries are available for viewing through IGF's website.